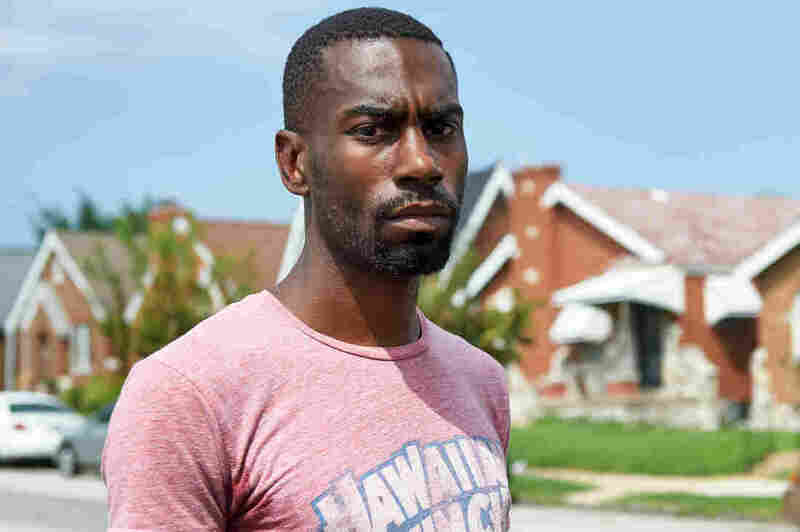 Running For Baltimore Mayor, Black Lives Matter Activist DeRay Mckesson Wins Donors : The Two-Way The Black Lives Matter advocate entered the race on Wednesday night in a surprise move. Less than 24 hours later, he has raised almost $40,000 from nearly 700 donors. Last night, just before the 9:00 deadline to enter the Baltimore mayoral race closed, DeRay Mckesson submitted his documents. In a last-minute surprise move, the Black Lives Matter activist who gained national attention during protests in Ferguson, Mo., made it official. While Mckesson, 30, doesn't have the political experience of some of the other candidates, he has a knowledge of and connection to the city, where he grew up as the child of parents he describes as "now-recovered addicts." Mckesson has appeared on Late Night with Stephen Colbert and The Daily Show with Trevor Noah; he was a go-to source for some news channels during the riots in Baltimore after Gray's death; and he boasts nearly 300,000 Twitter followers. He's a celebrity in his own right, which undoubtedly helped him land a sit-down with presidential candidate Hillary Clinton last October. "Yeah, so we just didn't agree, right? So there were pushes from protesters that are saying people don't believe that the police are always these beacons of safety in communities. And she, you know, at the beginning, felt strongly that police presence was necessary. She listened and heard people sort of talk about how safety is more expensive than police. And we worked through that, but it was a tough exchange. As a mayoral candidate, those tough conversations are just getting started, but Mckesson isn't afraid to have them. "I know this city's pain. As the child of two now-recovered addicts, I have lived through the impact of addiction," he wrote in his blog post. "I too have received the call letting me know that another life has fallen victim to the violence of our city. Like so many other residents, I have watched our city deal what seems like an endless series of challenges and setbacks."